November and December proved themselves productive reading months, but not so much in terms of writing months. A theif named Locke tries to get out of the dangerous web in which one of the city’s other influential thieves has him ensnared. I heard such great things about this book. I enjoyed it. I would have enjoyed it even more had my version of the audio book not had a tendency to cut off before the end of chapters. That said, my willingness to put up with the audio book’s quality speaks magnitudes for the book itself. 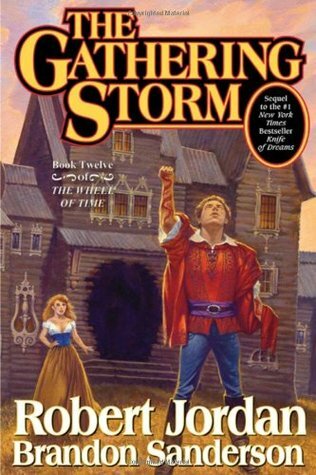 Thirteenth book in The Wheel of Time series. I enjoyed it but, again, not enough to motivate me to finish the books in the middle of the series that I skipped. 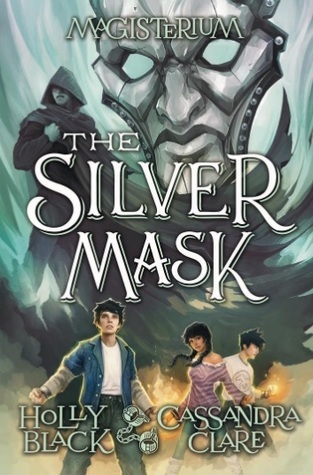 A group of teenagers travel through time and steal historical artifacts. I enjoyed this one. See my full review for my thoughts. A teenage girl goes from almost homeless to completing in her timeline’s most competitive video game tournament. 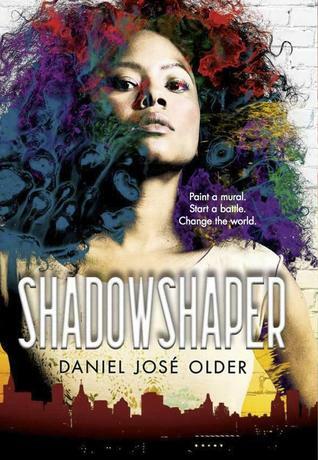 I loved that this novel was set primarily in Japan, as there aren’t a lot of YA novels set there. The video game setting was fun, but the characters didn’t stand out in my mind as much as I would like. 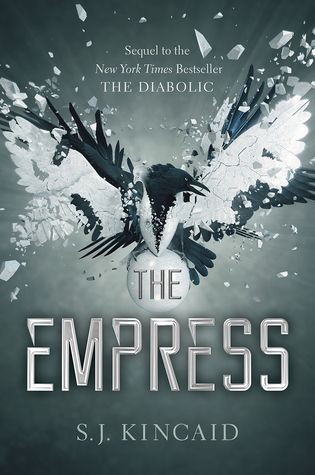 Sequel to The Diabolic, which followed Nemesis, a girl bred for the sole purpose of being an assassin. 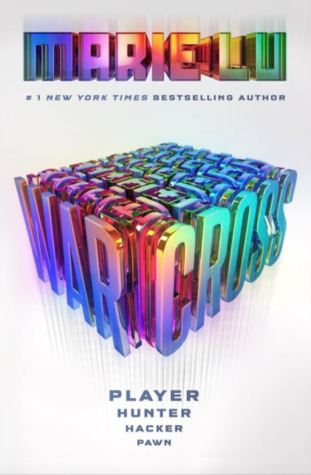 My feelings for this book were conflicting and not helped by the fact that some of the elements that set Warcross apart from some of the other YA novels I’ve read were also present in this book. However, I ultimately gave the book a high rating for reasons discussed in my spoiler review. 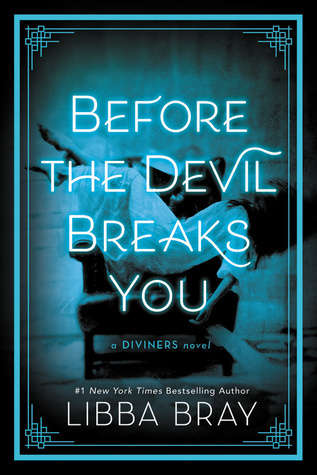 If you’re new to the series, please see my The Diabolic review. 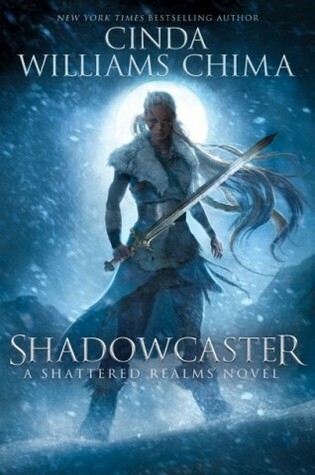 Third book in an epic fantasy series. 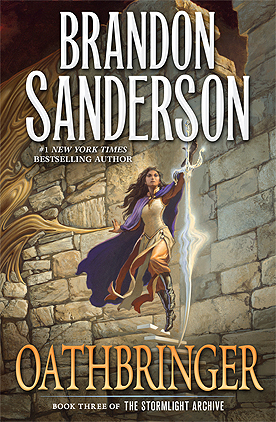 Its plot is less cohesive than its predecessor, but there is still much exploration of the word of Roshar, the Knights Radiant, and Stormlight. There will likely be a full review to come. In the mean time, those new to the series may enjoy my review of The Way of Kings. Starr is the only one who knows the truth of her best friend’s death. A truth with the potential to tear her community apart. It’s no secret that I don’t read a lot of contemporary books, but I make an effort to read some from time to time because there are some great ones out there. I was hesitant at first because I worried that, like a lot of books that deal with political topics, this book would be preachy. This fear proved unfounded. 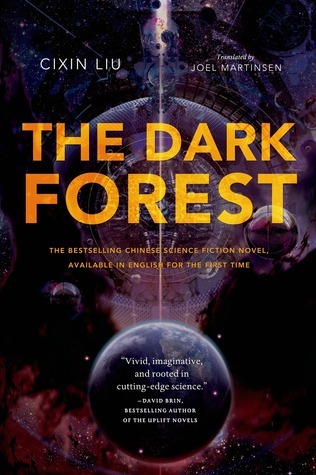 The characters are well developed and the author’s world-building, and yes, I am referring to setting the scene in a contemporary novel as world-building, of Starr’s city and the division within it was fantastic. In addition, the book’s subject matter is incredibly timely. One of the best debut novels I’ve read, and a great way to start discussions about a difficult topic. 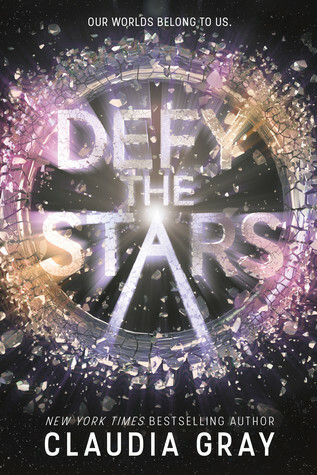 Third book in The Diviners series, which follows a group of young people with supernatural abilities. Wow, this escalated quickly, but not quickly enough in some ways. I went into this believing it was the final book in the series and not a book still in the middle of the series. This, at first, left me confused by the lack of resolution. Not including a synopsis because I’m not sure how much I’m allowed to discuss the contents, but this proved one of the best unpublished manuscripts I’ve read, if not the best unpublished manuscript I’ve read. I had some issues with it that made me see why it wasn’t published, but it was still good. An exploration of octopus’s intelligence. 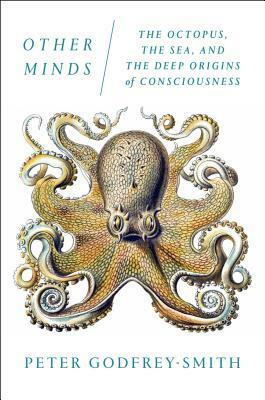 I’ve long been fascinated by octopuses, and this was an interesting exploration of their thought process. Yet another exploration into octopus intelligence. 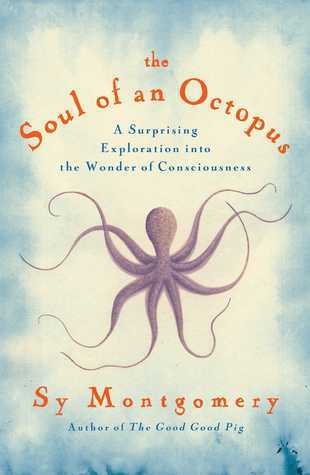 No, I did not suddenly develop a desire to listen to a string of nonfiction books about octopuses. This one was turned on in audio book form while I was traveling because one of my traveling companions mistakenly believed it to be the book I’d been reading. We listened to it anyway. 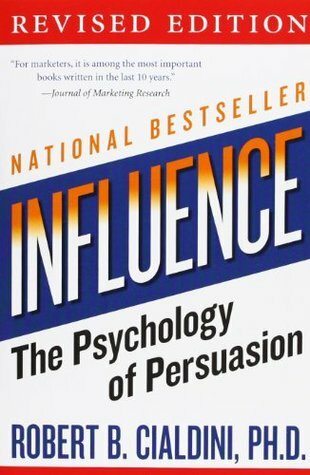 Details the ways people exploit psychology to convince people to do what they don’t want to and ways to circumvent falling for their ploys. 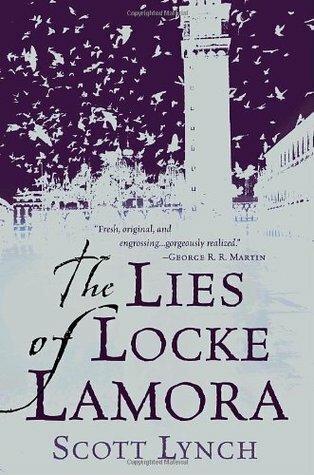 Read this one in audio book form on the same trip where I read Soul of an Octopus. My traveling companion was a huge nonfiction fan. In some ways, this book changed the way I thought of the actions of those around me. I noticed some of the practices detailed in the book being used by people even before I finished reading it. Rowan is a second child born in a city where the law that each couple may have only one child is harshly enforced. This may well be the most unpopular opinion I have ever posted, but I have to be honest. I read this book because it was one of the only ones downloaded on my Kindle during a time when I had no access to WiFi or cell service. Someone else downloaded this book while they were borrowing my device. Otherwise, I probably wouldn’t have chosen it to begin with. Reading it with no prior knowledge of the reviews or publisher of this book, I honestly thought that this had been self-published and would have a low average rating. Imagine my surprise when I discovered this was not at all the case. The most positive thing I can say about the book is that it is captivating. I was able to read it in a crowded place. Beyond that, the plot felt derivative of other YA dystopian novels I have read, and I didn’t care much for the characters. The reason I felt the book might be self-published is because of all the melodrama, (Though, to be clear, I have read many great self-published books with little melodrama.) The book reads like a debut. 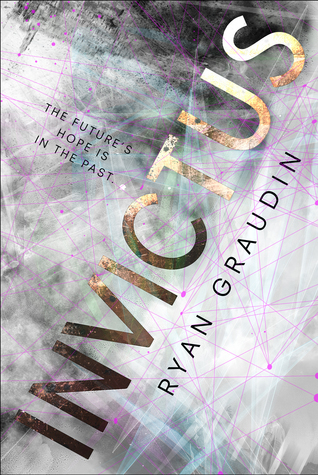 I can, however, see many people who are new to the dystopian genre enjoying this book because of its captivating nature and bisexual love triangle that I hear some readers searching out from time to time. A non-fiction writing craft book by Ursula K. Le Guin. Okay, so I didn’t read this book during November or December, but I did read sections of it throughout 2017. I never reported the book in my wrap-ups, so I’m mentioning it now instead. 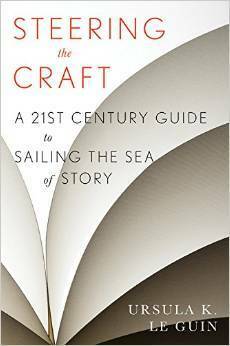 A good, brief book on writing craft. Writing wise, the only thing I accomplished was writing and revising a short story. If my attempts at publication prove fruitless I may post it to the blog because I was rather satisfied with how it turned out. Hope you all had a happy New Year! Anyone read any of these books? What did you think? What did you read at the end of this year? This image is derivative of “Red-blue sunset” By Adam Ziaja CC BY 3.0. These past few months were eventful to say the least. So eventful that I am wrapping-up my reading experience for three months in one post. Seriously though, there is a lot to cover. I read some books that disappointed, others I loved, went to two author events, and finished the first draft of a novel. I read eight books in August, September, and October. A princess proving her worth. A captain on a dangerous assignment. A boy with enchanting music. 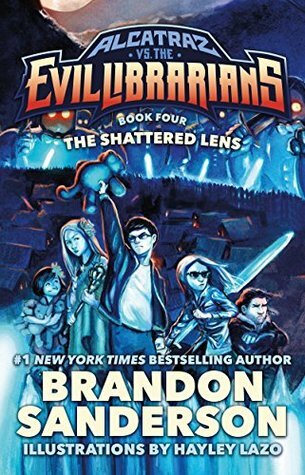 I was hoping to enjoy this book as much as the books in the original series, but like the previous book, the characters didn’t seem as memorable, and the story didn’t seem as compelling as the Seven Realms series. Akin is the first human-alien composite male, but looks human. This makes Akin a subject of interest to the sterile human survivors of the apocalypse. Akin must act human enough to avoid their wrath, while remembering his true nature. I need to read more of Octavia E. Butler’s works. I’ve really enjoyed the two I’ve read so far and can’t wait for the others. My main complaint is that this was too short, but that has more to do with the style of writing that was popular at the time it was written than the author. Still thought provoking even though it was published about 30 years ago. After being kidnapped by an alien, Delaney must impersonate an alien princess or else the entire human race will be enslaved. I was waiting in a long line at the library and picked this up on impulse as I walked by. I’m not sure I would have read it otherwise. 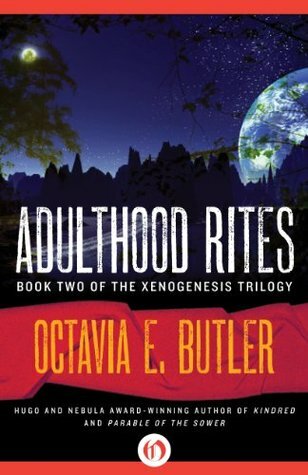 It’s too romance heavy for my taste, and I prefer more science in my science fiction, but it was otherwise a light, fun read. If you’re looking for a book you can’t put down, this might be for you. 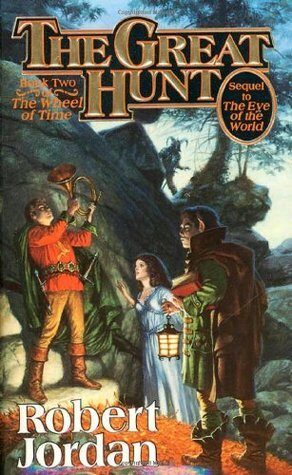 Books four and twelve of the Wheel of Time series. Some of you are probably wondering if I indeed skipped from book four to book twelve in this series. The answer is that, yes, I did. 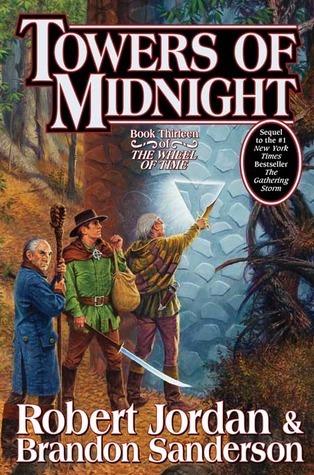 At the risk of annoying some of the Wheel of Time fans, I must admit my motive for reading this series lies in the fact that Brandon Sanderson wrote the last few, and I want to read all his books. 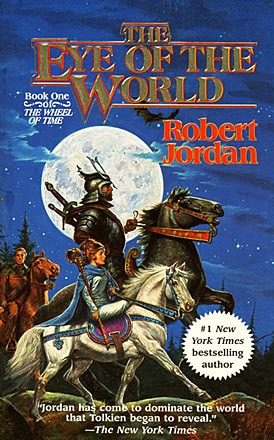 I like the other Wheel of Time books, especially book four but not enough to read the eight 1,000 page long books in between books four and twelve. 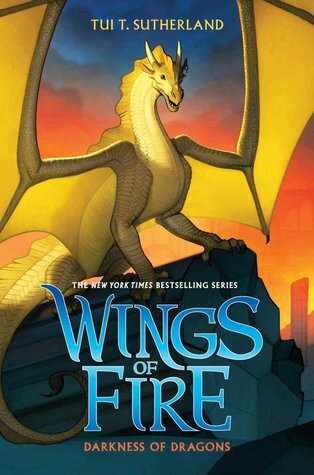 The final book in the second arc of the Wings of Fire series. If you’ve been following this blog for a while, it’s probably no secret that Wings of Fire was one of my favorite middle grade series. To some extent it still is. However, this book is probably one of my least favorite in the series, though my least favorite overall would have to be book nine. It came across as a little anticlimactic to me, and I wasn’t a fan of the characters’ resolution of the conflict that’s been building in the last few books. Still, it was a fun read. Sierra must uncover the mystery of her family’s magical heritage before anyone else dies for it. I wanted to love this book so much. The atmosphere is great. Older seems to have captured an otherwise realistic portrayal of Brooklyn with some magic thrown in. Unfortunately, this book didn’t capture my attention enough for me to give it a higher rating. That said, if you’re looking for a detailed, diverse portrayal of Brooklyn this may be the book for you. Fourth book in the Magisterium series. Oh, look, the only book I read in October. *Hides in shame. * If this isn’t an indicator of how busy I’ve been I don’t know what is. There is something about this series that makes me always come back to it even though there are some less than amazing elements to it. I think it’s the premise. I love “hero destined for evil” stories so much. In the past three months I went to events for Leigh Bardugo and R.L. Stine. I’ve had the pleasure of meeting Bardugo twice before, but I don’t see how I can go to too many signing events when one of my favorite authors is involved. Even after attending her events in the past, I still learned something interesting about Bardugo’s writing style. She uses a modified version of the beat structure outlined for scripts in the book Save the Cat. She outlines most of the beats mentioned in the book, but skips a couple because she’s never sat down and read the book to find out what the others were. Hey, when it comes to writing, the right way to write is the way that works. R.L. Stine was a first for me. My biggest takeaways from his event were that sometimes life takes us in unexpected directions, that one of the best ways to succeed is to be open to these directions, and that ideas come from unexpected places. If you would like to see a full post about these events, leave a comment to let me know. The words I wrote in August. Graph generated with NaNoWriMo goal tracker. My months have been so distinct from one another in terms of writing progress that it almost seems wrong to sum it all up in one post like this. August was a great writing month. During the first half of the month, I averaged around 5,000 words per day. My first draft ended up being 70,000 words. This makes it the longest first draft I’ve ever written, though still shorter than the longest thing I’ve written (90,000 words). I took a break after finishing my first draft midway through the month, intending to get back to my writing in September. I started some short stories in September, but the progress I made was interrupted due the disruption Hurricane Irma made to my schedule. I’ve put those short stories on hold for now. Little writing progress was made in October until the end of the month when I began reading through the draft I finished in August. Have you read any of these books? If you could meet any author who would you choose? How do you go about revising your first drafts? June and July were productive months. I read eight books and wrote over 40,000 words. 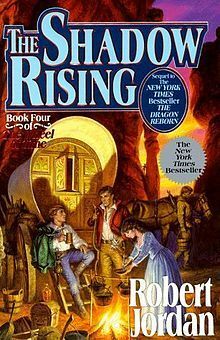 One of the books I read were middle grade, three were young adult, and four were adult. Alcatraz must stop librarian cults from conquering the world. I liked book four better than book three. I thought the conflict was more interesting, the jokes funnier, and I’m excited to continue the next book. It’s important to note that there are a lot of people who would find this series more annoying than funny. I’m just not one of them. I think it’s hilarious. Aliens try to conquer Earth. Humans learn about our place in the universe. I liked this book better than its predecessor. The plot was more cohesive, and a little faster paced, though still slow. This is hard sci-fi at heart. One of the things I love best about this series is the way it’s made me think. That said, I’m happy with how this book left the story and am not sure I’ll continue. 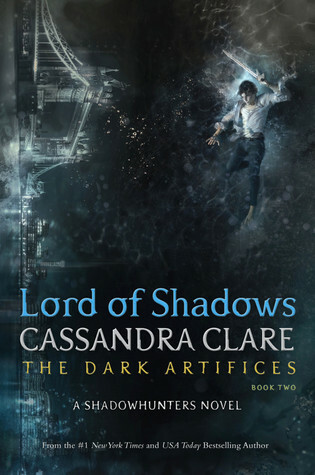 Two young shadowhunters must protect the world and loved ones from supernatural forces while sorting out their forbidden romantic feelings. 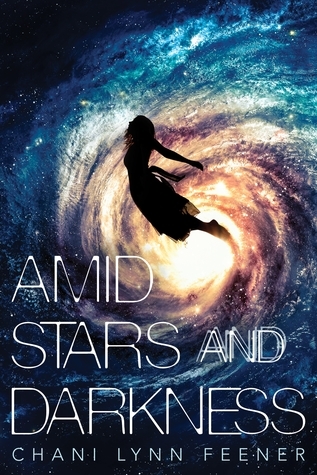 This book was fun, but I’m tiring of reading books set in this universe. I’ll probably read the series final when it comes out in a couple years, but think I’m done with the future spin-offs. Of course, if nostalgia strikes, I might change my mind. 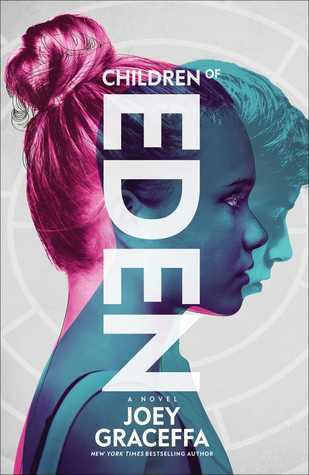 A teenager fighting for a rebellion teams up with an android to free her planet from Earth’s influence. Really enjoyed this one. See my full review for more information. August and Kate must protect the people of their city from the monsters that seek to tear it apart while they battle their own inner daemons. 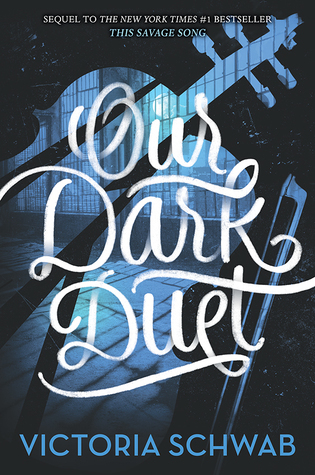 For my full thoughts see my duology review. I liked this book, but at the same time felt something was missing that I couldn’t place. 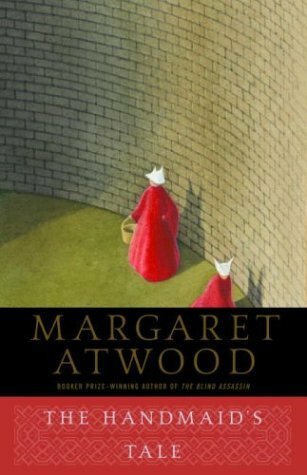 A handmaid shares the story of her life as a member of the first generation to live under a sexist dystopian regime. 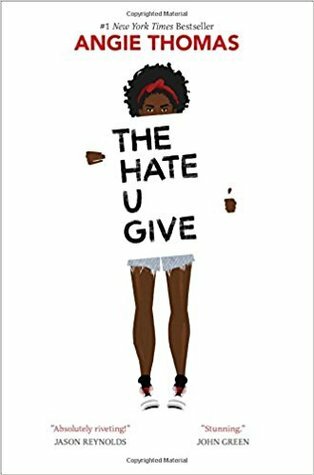 Based on what everyone said, I expected to be left emotionally drained by this book. I think that these expectations and the fact that I don’t have children are the only reasons I wasn’t affected more. It is, however, still a creepy book. That said, while I can’t say I liked what took place in this book, it was very well written, thought provoking, and made me want to keep reading. For these reason, it gets a high rating. When a village is attacked, three farm boys must flee to a legendary city to protect themselves and their families. I liked the second book a lot more than the first. Given the nature of most first books in epic fantasy setting up the rest of the series this isn’t too surprising. 3/5 for book one and 4.5/5 for book two averaging to a 4/5. I started writing a first draft in June and continued writing it throughout July. This was accomplished through Camp NaNoWriMo. I had a goal of 30,000 words for July but exceeded it and wrote 40,000 words. What have you been reading? Anyone read any of these books? Anyone participate in Camp NaNoWriMo?